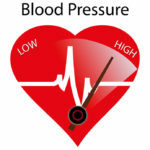 High blood pressure is a sign that you are not healthy. The answer is not drugs, but to find the cause. Find the cause or suffer the 10 consequences listed in this post. High blood pressure can go unnoticed for many years and cause heart muscle damage. It often has no symptoms and for this reason is considered a “silent killer”. 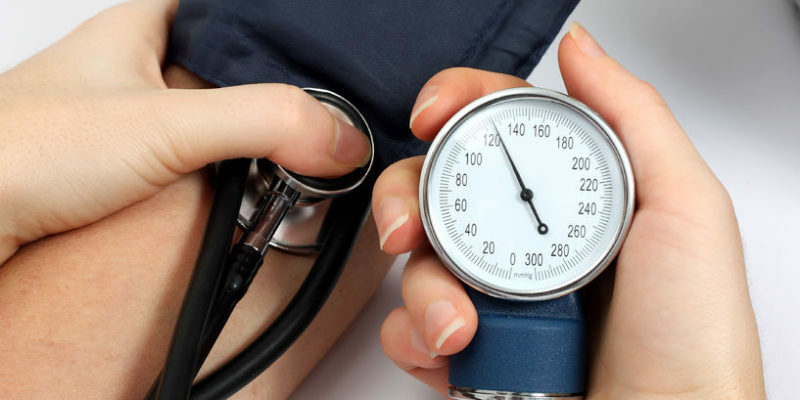 Nearly half of Americans over the age of 20 have high blood pressure, a staggering statistic. 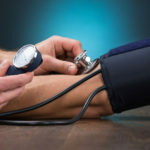 Find out how high blood pressure impacts your heart health and learn more about ways to reverse high blood pressure naturally. Blood pressure is defined as the pressure, or force, of blood that pushes against your artery walls. 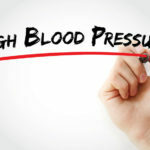 It is classified as “high” blood pressure, or hypertension, when the force of the blood against your artery walls (pressure) is consistently high over time. The contraction of the heart muscle refers to the systolic number (top number of a blood pressure reading). The relaxation of the heart muscle refers to the diastolic number (bottom number of a blood pressure reading). A normal blood pressure is considered to be 120/80. High blood pressure is dangerous because it makes the heart work harder and strains the heart muscle over time. It drastically increases your chances of heart attack and stroke. High blood pressure can cause narrowing of arteries, decreased blood flow, increased stroke risk and a greater chance of heart failure. There are many risk factors for high blood pressure. Pharmaceutical deficiency is not one of them and pharmaceuticals is not the answer. If there is one thing that makes a patient pause, it is the risk of stroke. And high blood pressure can increase your stroke risk. Got your attention now? Hypertension can also damage the tissues lining the blood vessels contributing to a hardening and narrowing of the artery walls. This allows cholesterol to build up, inflammation to arise and oxidative stress to occur. Ultimately, a blockage or blood clot in the artery can form. As the insides of your arteries narrow from high blood pressure, they become more and more damaged. This damage can contribute to an increased risk for heart arrhythmias (heart rhythm problems), heart attack and stroke over time. High blood pressure is closely linked to sexual dysfunction. Low levels of nitric oxide are a factor in both high blood pressure and erectile dysfunction, making them interrelated. High blood pressure decreases blood flow and can cause erectile dysfunction. Hypertension can also reduce sexual desire. High blood pressure is also a risk factor for an aneurysm (enlargement of the arteries caused by weakening of the artery wall). Over time, if there is constant pressure pushing on a weakened artery, this can lead to a bulge in the blood vessel and an aneurysm can result. Aneurysms can rupture and lead to internal bleeding. They can form in any artery yet are most likely to occur in your main artery of the heart called the aorta. High blood pressure puts stress on the heart and causes the atrium to enlarge. When this happens, you are at higher risk of atrial fibrillation. In turn, high blood pressure in people with AFIB are at a higher risk of stroke. Bad combo. Over time, the effects of high blood pressure can cause the heart muscle to weaken. The heart begins to lose normal functioning because of its inability to efficiently pump blood into circulation and heart failure can develop. When your heart becomes overwhelmed, it will shut down and begin to fail. High blood pressure can contribute to the development of mild cognitive impairment (the stage prior to dementia) or dementia over time. Just like the heart, the brain needs adequate blood flow and oxygen delivery. If this becomes impaired (due to high blood pressure) then problems in the brain can result. Vascular dementia and Alzheimer’s disease are both linked to a narrowing of the arteries that supply blood flow the brain. Blocked blood flow or stroke can cause either of these neurological disorders to develop. High blood pressure is also linked to kidney issues. It is one of the most common causes of kidney failure. High blood pressure can damage the arteries that lead into your kidneys, which can harm their normal level of functioning. If the kidneys can’t properly excrete waste then fluid and waste accumulate and kidney disease arises. Hypertension can also damage your eyes. Your eyes have tiny blood vessels that supply the eyes with the needed blood flow to function properly. These, too, can become damaged by chronic high blood pressure. A result of high blood pressure is often damage to the eye’s blood vessels, damage to the nerves or fluid buildup within the retina. 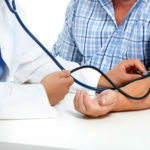 What Can I do to Treat My High Blood Pressure Naturally? Nutrition and lifestyle changes can help to treat and reverse blood pressure naturally. They can also help to reduce the chances of complications from high blood pressure. The only way to know if you have hypertension is to have your blood pressure checked regularly. You will want an average of two or more readings on two or more occasions to verify if you have high blood pressure. You should check your blood pressure yearly and more frequently if you’ve had high or low blood pressure. Sometimes it helps to keep a blood pressure diary. Bring your recordings into your doctor. Don’t check more than once per day, but check at variable times. One day in the morning, the next day at lunch, and the next day at dinner. Know your numbers and make the changes needed to heal high blood pressure for good! Hypertension shouldn’t be blamed on genetics or family history. Poor nutrition and lifestyle choices are the culprits. This disorder is highly reversible if you just take the simple steps needed to reduce blood pressure naturally. 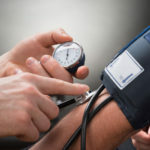 Can High Blood Pressure Be Cured Without Medication? Is Renal Denervation an Effective Treatment for High Blood Pressure?